Organizers of Digital NEST in Watsonville thanked Facebook for donating 25 new Macbook Pro laptops, increasing its computer capacity to train students in digital media, web development, 3D design and robotics. In a power-filled room of educators, community leaders, elected officials and angel funders, executive director Jacob Martinez opened his remarks and elicited laughs when he made clear the gathering had been given a special exemption: as a rule, NEST participants need to be ages 12-24! Martinez, who has a professional background in technology and education, noticed the digital divide early. While growing up and attending school, and later, mentoring area students, it was apparent to him who had easy access to technology and who did not. Seeing students work outside locked school buildings so they could continue to use the wi-fi connections needed to complete their assignments sparked the origins of the program. Digital NEST’s doors opened in November 2014, offering youth entrepreneurs free access to computers, internet connectivity and training. Students take classes, collaborate on technology projects, identify paths to college and visit Silicon Valley technology companies to learn about STEM (science, technology, engineering and math) career opportunities. The center has grown to more than 400 students, impacting its original resources. With the available computers stretched across an expanded member base, students had to share equipment while working on projects. 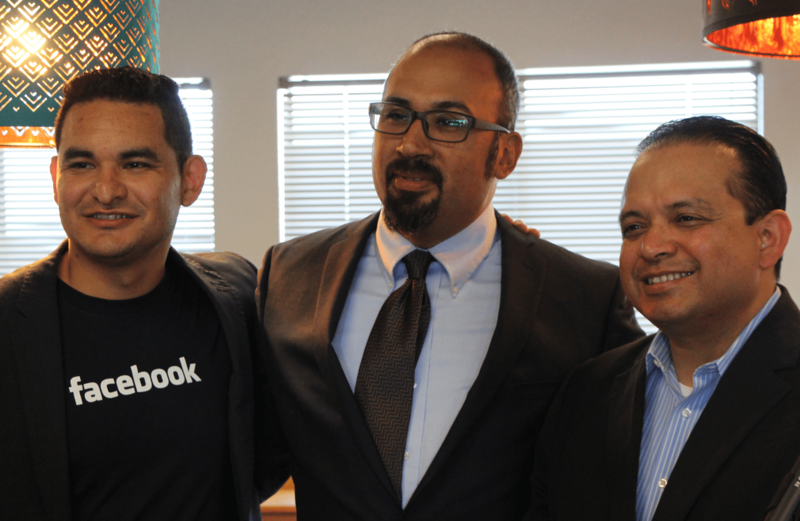 “The donation from Facebook doubles the number of youth we can help at once,” said Martinez. During the midmorning event, college students circulated among the guests and shared their technology stories. Speaker Ana Nico joined the program in May. While at UCSC, she became aware of farm worker rights and the frustration students of migrant worker families feel about their school lives. Moving from school to school, students reported problems with retaining records, properly transferring credits and verifying academic progress. “I want to motivate migrant students to pursue their dreams and help them find ways to grow out of the cycles that deprive them from moving forward,” Nico said. Currently a math major at Cabrillo College, she plans to transfer to Cal Poly San Luis Obispo to study architectural engineering. California State Assemblyman Luis Alejo spoke to the group about the challenges facing students of low-income and migrant worker families. He said the next great inventions can come from creative minds on the Central Coast if they have access to technology tools, education and training. With ties to working families, state government and technology, Juan M. Salazar is Facebook’s associate manager of state political outreach. Originally from Santa Maria, Salazar served as a community worker with California Rural Legal Assistance after graduating from UC Berkeley. “We want to build pipelines to careers at companies like Facebook,” Salazar said, noting that future talent will come from rural communities, not just inside Silicon Valley. 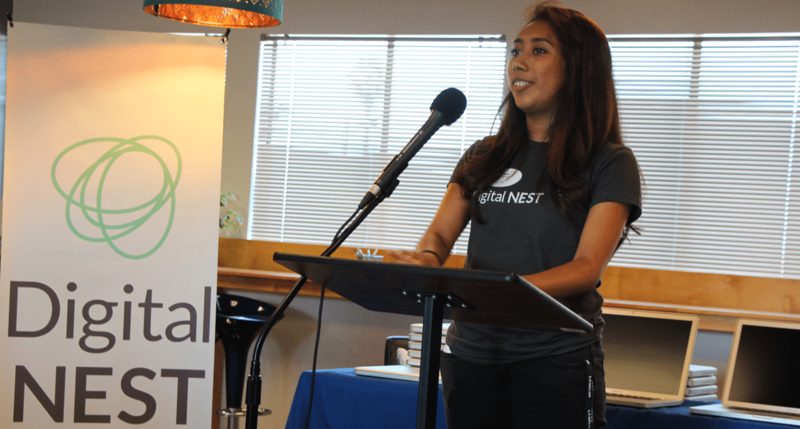 Digital NEST plans to move to a larger, downtown location in January 2016 to accommodate its growth. For more information about Digital NEST operations, programs and services, visit www.digitalnest.org. Jan Janes, Communications Director, Web Publisher, Television & Radio Producer, Photojournalist, Social Media Architect, can be reached on LinkedIn.